Delicate 2mm stainless steel wire leg for use ONLY with aluminium labels AH9 or zinc labels ZH9 & ZH7 - approx 24cms from top to bottom. 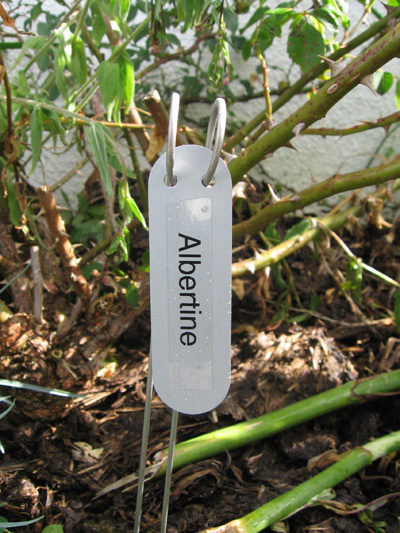 Once the leg is in the ground the label cannot be lifted off (this may be of interest to those who open their gardens to the public). We are now manufacturing these legs ourselves. This means that we can make them to any length to order subject to minimum quantities. Please call if this is of interest.